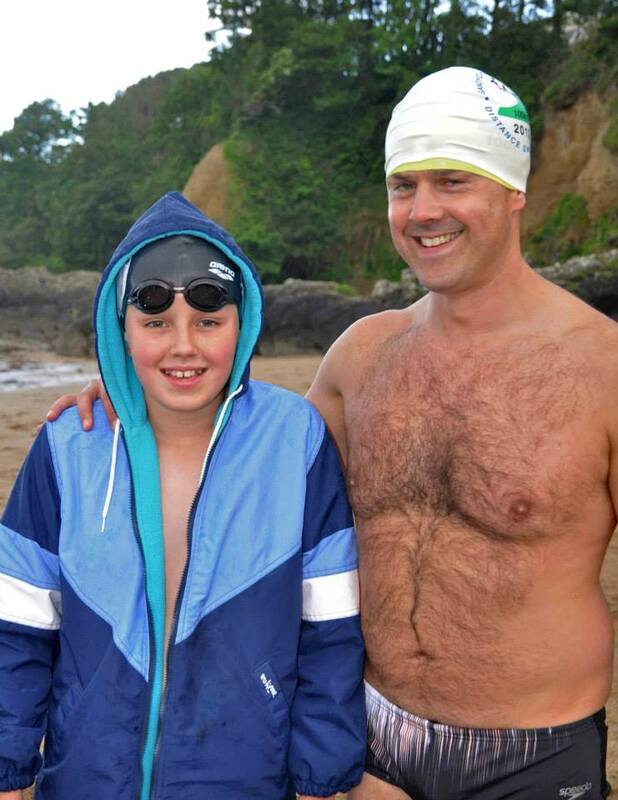 Let it never be said that we didn’t have some fierce literate swimmers down Myrtleville way. 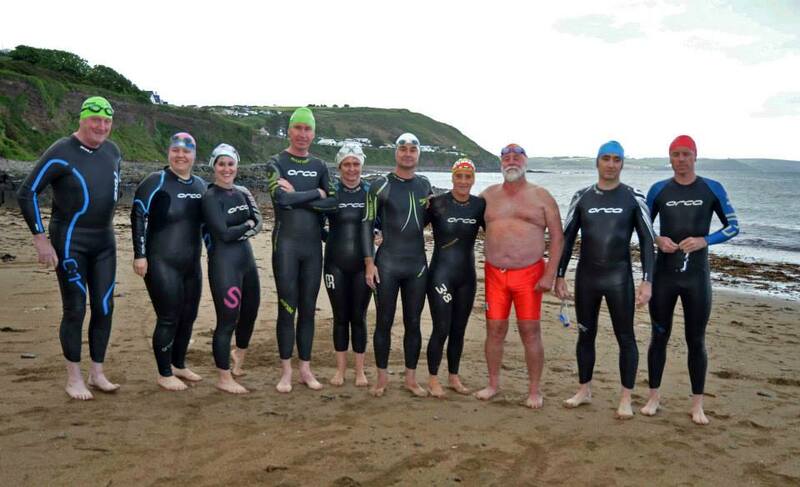 Warm-water training in Myrtleville today: Rosaleen McKeown, Breda Maguire, Barbara Anne Richardson, Olive Hughes, Anne Smyth, Sean Foley, Keith MacKeown. This Saturday, June 21st, is the second annual Summer solstice event at Sandycove, to celebrate the life of Páraic Casey. It will kick off around 12:30pm, with a swim at 1:00pm for whoever wants to get in. There is no distance requirement – even if you just want to dip your big toe, you are more than welcome! Click here for further details. The forecast is fantastic, so head along and enjoy the day. 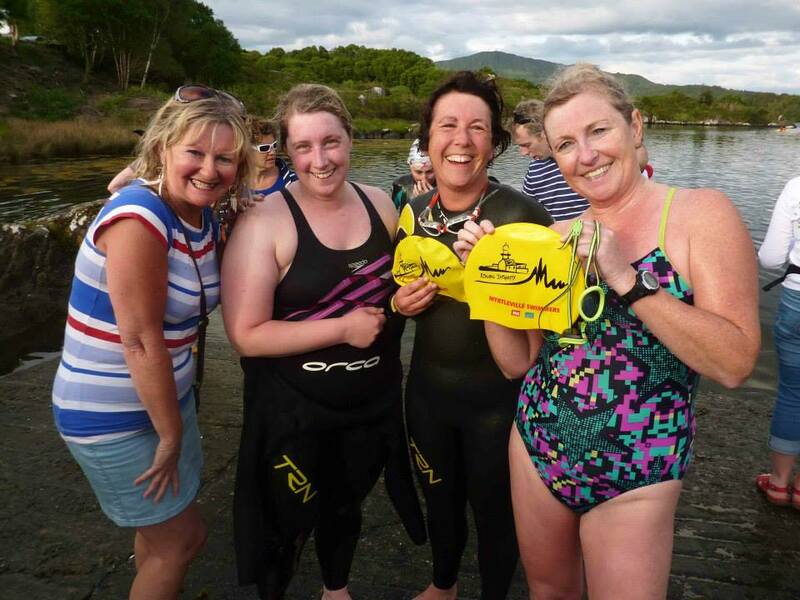 Ger Venner, Joleen Cronin, Siobhan Russell and Amy Barry-Murphy who all completed the the 3km Garnish swim at the weekend. 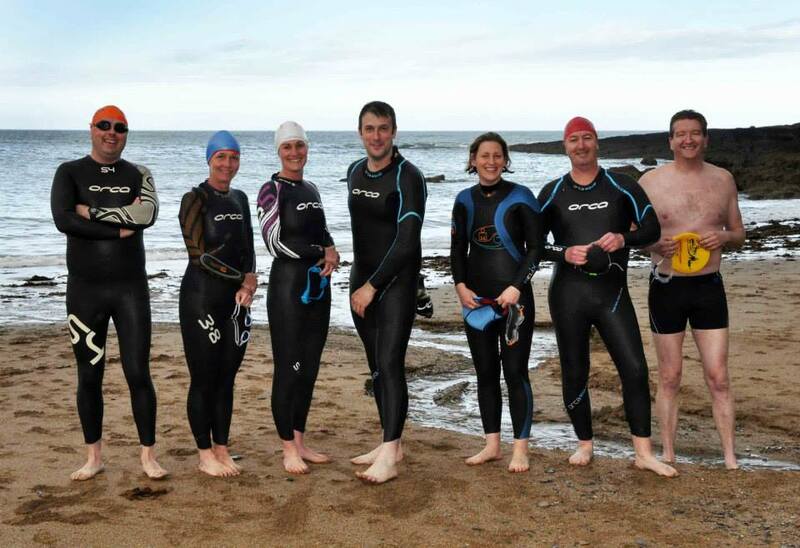 Next challenge: RNLI Myrtleville – Church Bay on June 28. Lots more Myrtleville locals also made the trip. 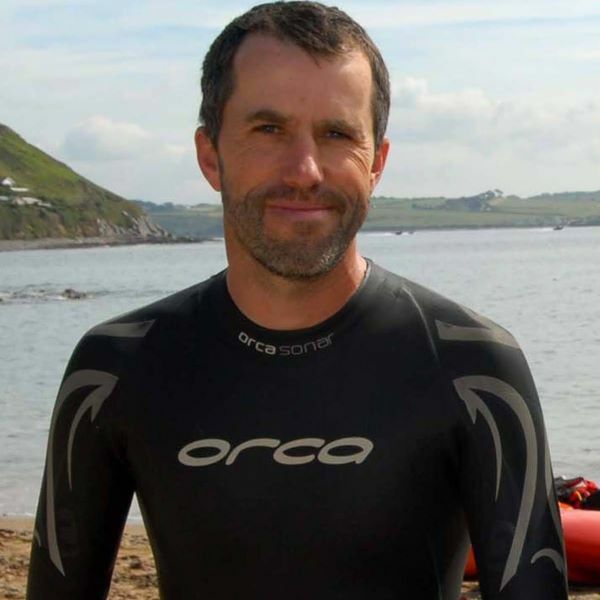 Denis Condon did 5km, but forgot to take off his wetsuit before he started. Won’t need it next time, he says. Up the Rebels & The Myrtlevillains! 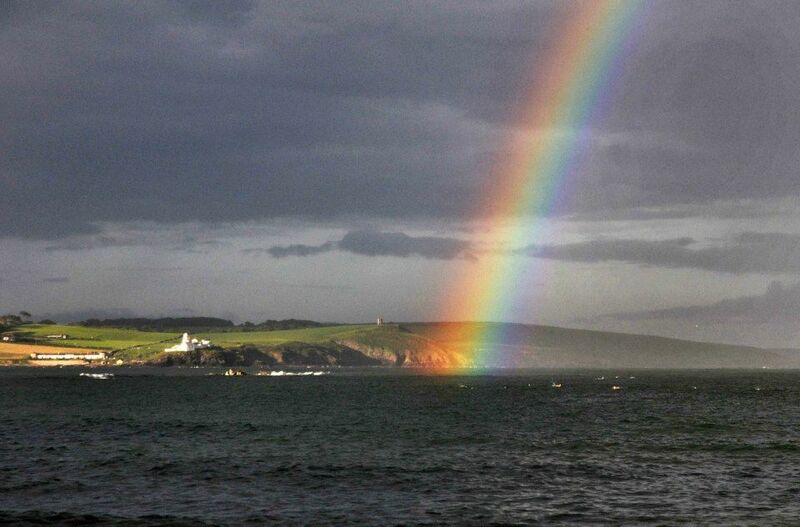 RTE have long shown their devotion to Myrtleville, with their use of our picture on the Weather Forecast most evenings. RTE Sport have now come on board and Pat Horgan (gwan ya good ting, Pat!) 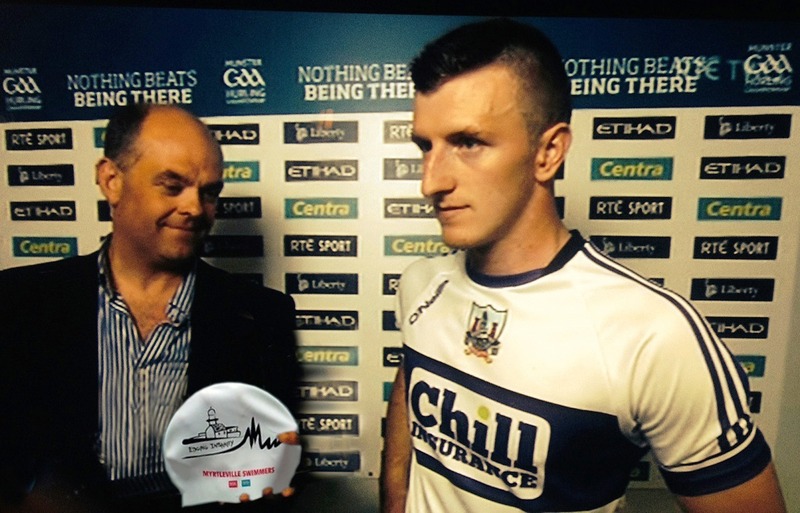 was the first recipient of the new-look Man of the Match Hat, which the Sunday Game have adopted. Bernard Lynch was on hand in Thurles to make the award. B. Lynch presents Pat Horgan with his Man of the Match Hat for his fantastic performance against Clare. 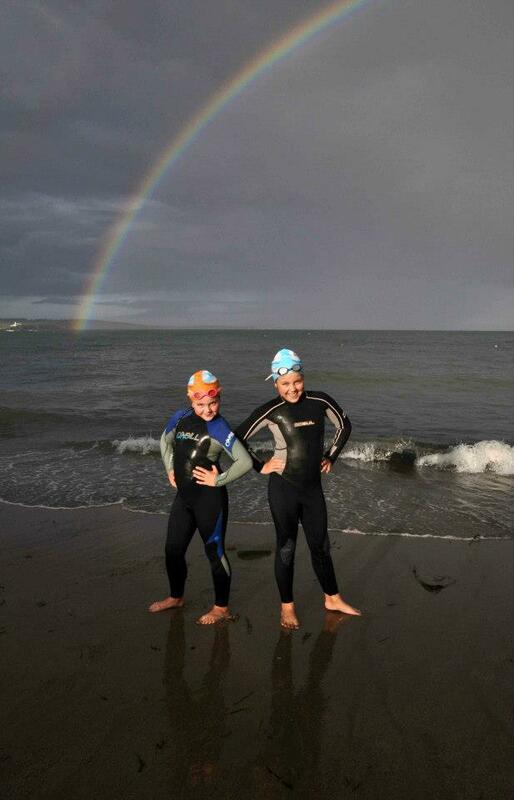 Heard from a triathlete at the practice swims for TriMonkstown at the weekend – “Do you have to wear a wetsuit? I’m roasted.” The water is headed for 17c (16.6c at the moment) and it’s a joy! 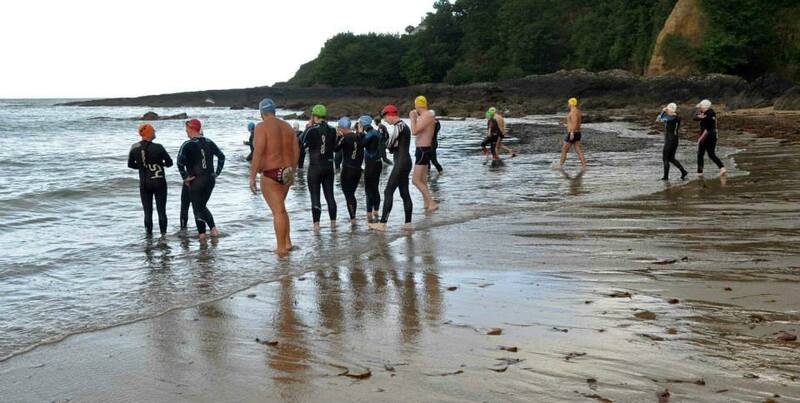 Fantastic swims at the weekend with huge crowds in Garnish and still enough swimmers around for groups going out from Myrtleville, Monkstown and Mallorca. Landed…..The Hat goes to Garnish – with Carmen Burns, Maria Foley, Audrey Burkley & Anne Sheehy. 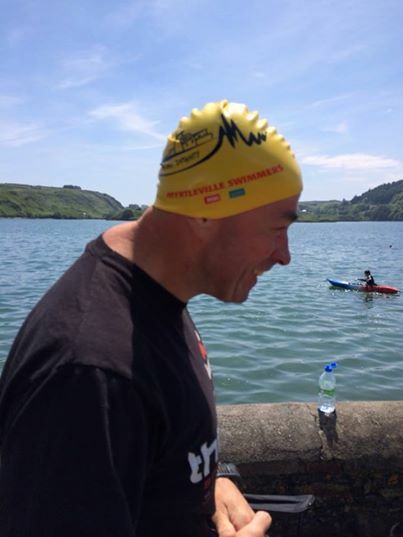 Then off to…..
Lough Hyne…..A very fit looking Steve Redmond crowns all his achievements with a new Hat. The Hat made one more very important stop yesterday, but I’ll have to post that one separately. Worth waiting for. 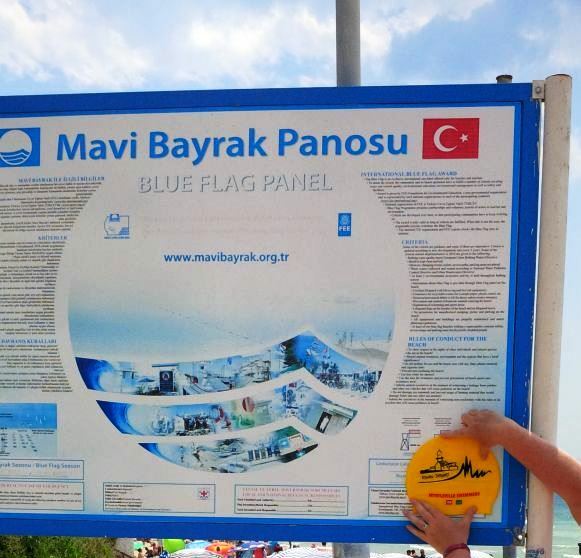 Enjoy the fantastic weather, and SWIM SAFE. 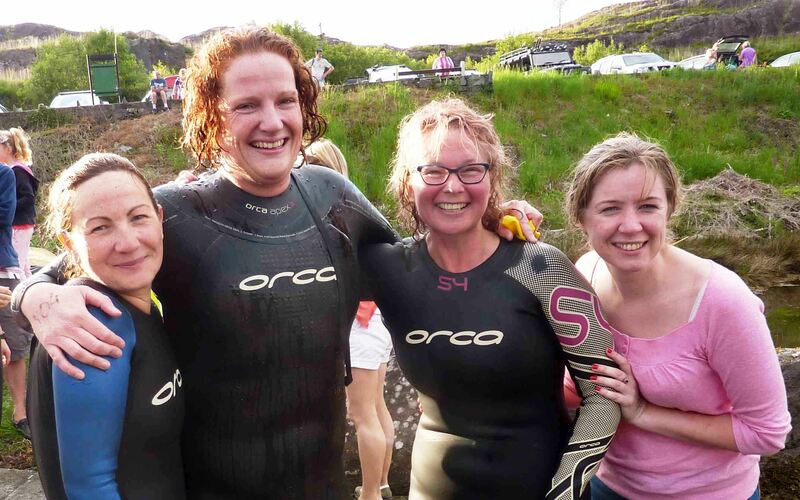 I’m sure there will be lots of extra swims for different groups, but the normal ones of 6.00pm today, 06.15 Tuesday and Friday mornings and Saturday at 08.15 will be on in Myrtleville. The only downside to the weather is that getting close to the beach any evening will be difficult. It’s going to be mobbed. 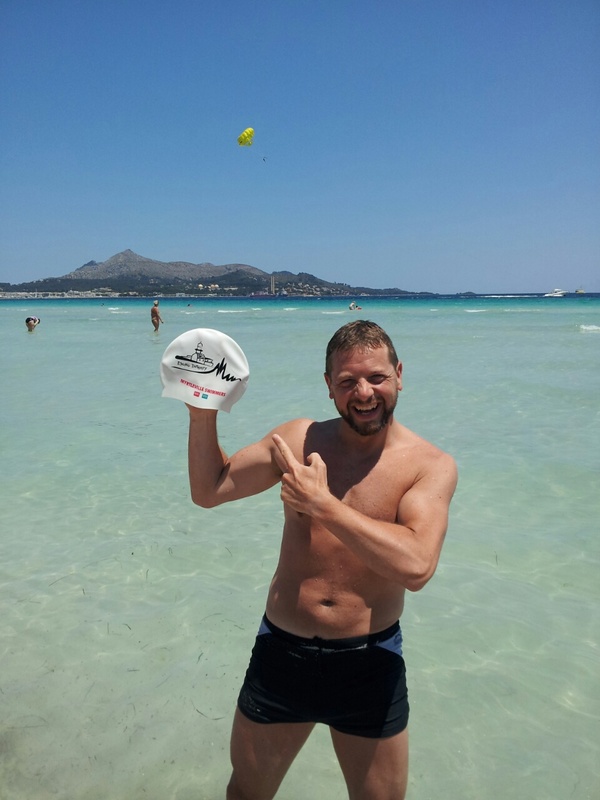 Feeling the need for a little sun, with things being overcast at home, The Hat took itself off to the beach in Turkey. Lifestyles of the rich and famous, I suppose. The Hat goes to Turkey. The water has warmed up a lot and with the Summer swims and Triathlons in full swing, there’s a constant flow of people on the beach. 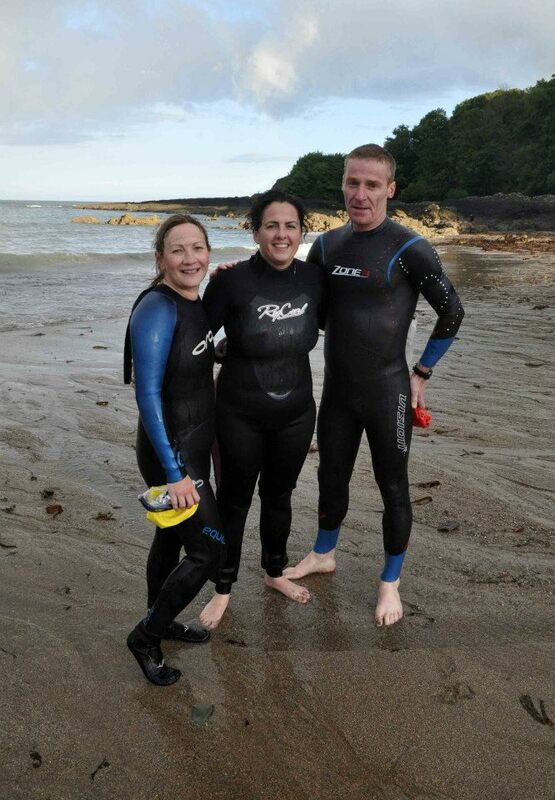 Entries are coming in steadily for the RNLI Myrtleville – Church Bay swim on June 28. Enter now, if you haven’t done so! Swim Safe, whenever you swim. 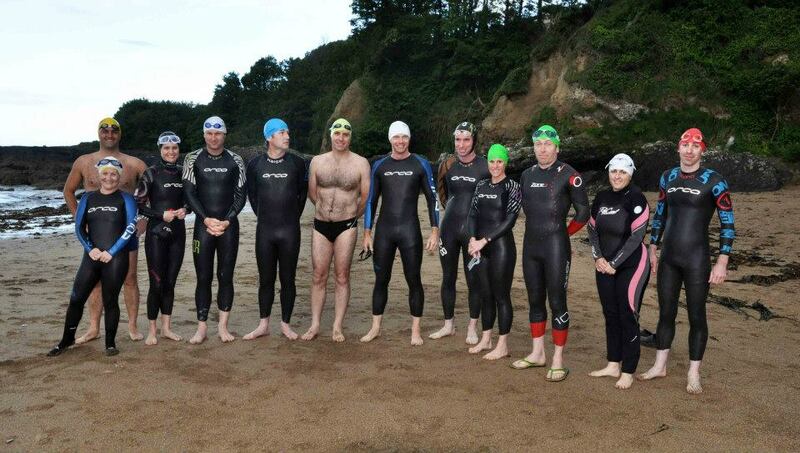 Eilis Burns brought her group of swimmers to Myrtleville to get them used to the sea last evening. 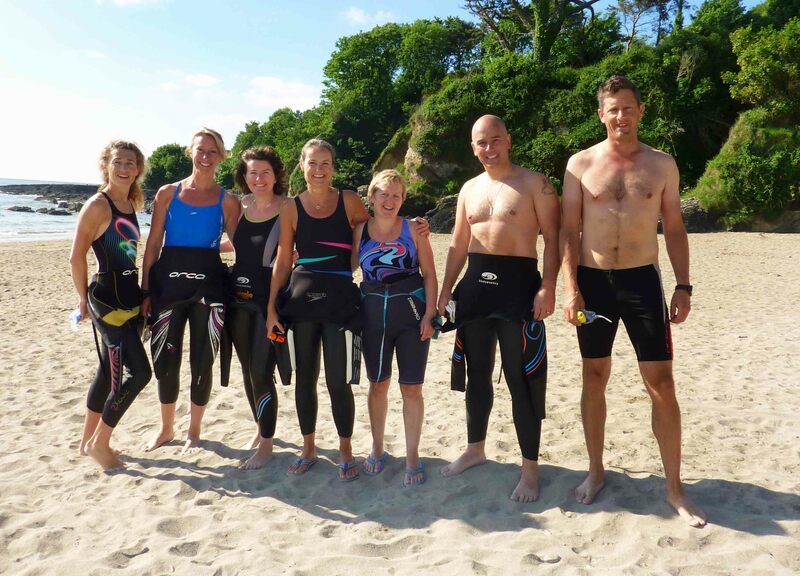 After a calm introduction in Garryvoe a couple of weeks back, they got to experience some waves in Myrtleville and everyone handled it really well. It was a great night. Siobhan Russell was on hand to capture the scenes, as ever. Some younger swimmers came along too! 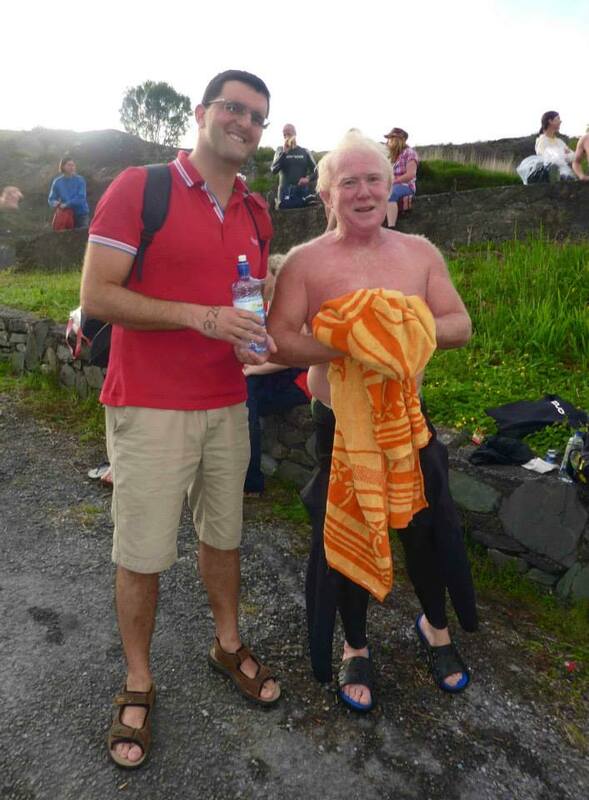 And Eddie was there enjoying the last few swims when he’s actually (but only slightly) faster than Neddy. Neddy & Eddie Irwin – Eddie’s looking tired just trying to keep one length ahead.